Buy CISS Brother DCP-120C and make 30 times more quality prints for the same money! Pay only 0.04 USD for A-4 full color print! To those who print much and value their time and money, there is some information for consideration. If you operate big volumes of printing, you probably know that the cost of printing usually reaches extremely high picks. We would like to introduce a great alternative for cartridges вЂ“ Continuous Ink Supply System. It may be CISS brother dcp-120c or CISS for Brother DCP-130C - no matter, it still preserves only high qualities and excellent reputation. Your costs reduce up to 95% in comparison with original cartridges. Just to think, it's every $950 out of $1000 sent on original cartridges! Your printer works without any refilling 20 times longer. You get the save quality as ink system for brother dcp-120c provides up to 98% of original quality. You get more printings, just 20 times more printings. Apart from this, CISS for dcp-120c let you see clearly how much ink is spent and how much is left. 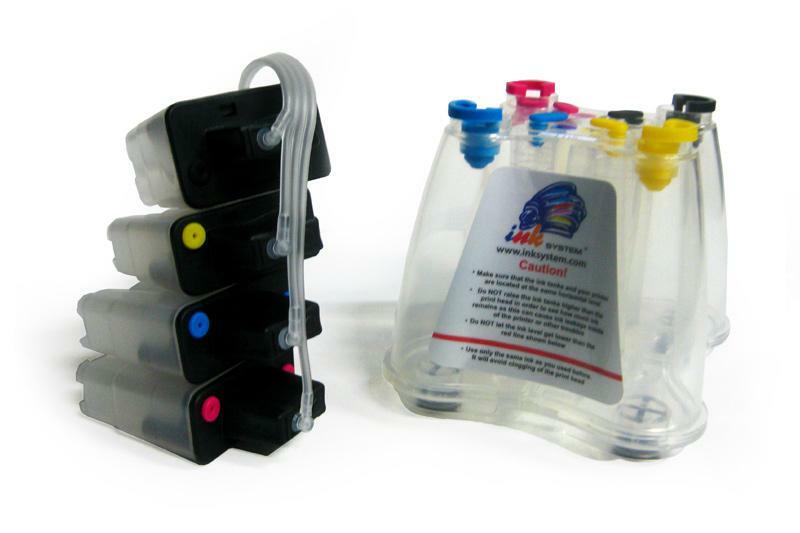 The tanks of the system are transparent, so you can easily find out level of inks. Don't forget about ecological moment. While we have waste lots of energy on recycling all used cartridges, CISS works long and recycling of one CISS dcp-120c cannot be compared to a sack of original cartridges. And how many cartridges are left without any recycling? Technical characteristics of the ciss for brother dcp-120c system look perfect: innovative ideas, high-quality materials and constant development. It may be consider worse than original cartridges or even refillable ones, but still there are facts. Any system like CISS for Brother DCP-135C is made of impact-resistant plastic, silicone and chips similar to original. First, let's consider tanks. They are made of plastic, they are transparent and supplied with air filter to make inks life longer. Then goes cable made of silicone with separate tray for each colour. The cable is connected to cartridges with chips on them, which supply printing head with inks. So, CIS brother dcp-120c is proved to be the best variant for everyone, who prints regardless to a type of printings. Photos, documents and graphics may be printed with no wasting money, no wasting time for the same price and with the same quality.